On Tuesday 22nd August Cosmic welcomed a VIP visitor – Simon Leeming, Head of the Digital Skills Partnership from the Government Department for Digital, Culture, Media and Sport. Other special guests included representatives from a range of partner organisations working across the South West, including: Exeter College, Petroc College, South Devon College, Serco (Heart of the SW Growth Hub), Dorset Growth Hub, the Exeter & Heart of Devon Skills partnership, and the Heart of SW Local Enterprise Partnership. Cosmic were able to present on a wide-ranging set of projects and programmes which we are delivering currently. This includes an ‘end-to-end’ provision of digital skills: from basic digital skills, employability skills, on through digital productivity skills, and a new digital business support model which is now offered across Devon and Somerset. Then all the way up to digital leadership capabilities which we are now partnering with organisations to deliver across the region. 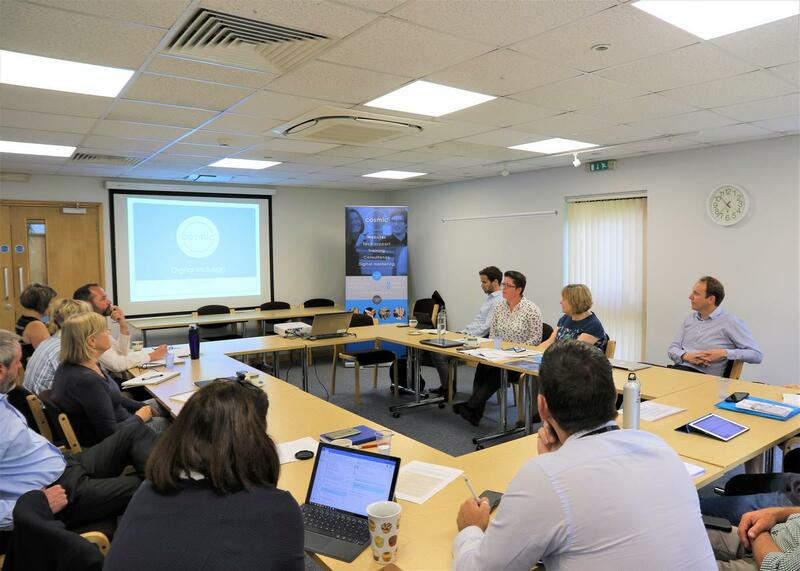 The group also learned about the work being carried about by the other regional organisations, including the focus on improving digital education provision at colleges in Devon and support for communities and businesses across the South West. Simon Leeming reflected on learning about this work by saying, "Many thanks to everyone for a warm welcome and a really fascinating discussion. 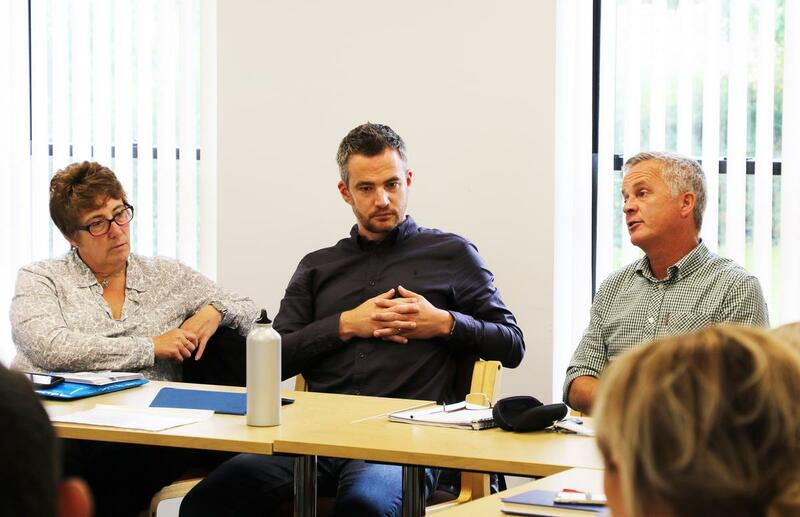 I can't stress enough how valuable it is to hear about the great work you are doing on digital skills and inclusion in the South West and to discuss the practical challenges and real opportunities in this space over the coming months and years." The group discussed ways in which to enhance and improve the established partnership and work even more collaboratively together in future with the formation of a Heart of the SW Digital Skills Partnership (watch this space!). Cosmic welcomes interest from other partners and further discussions about how they can develop a highly effective plan for digital skills development at all levels and for people, businesses, organisations and communities across the region.